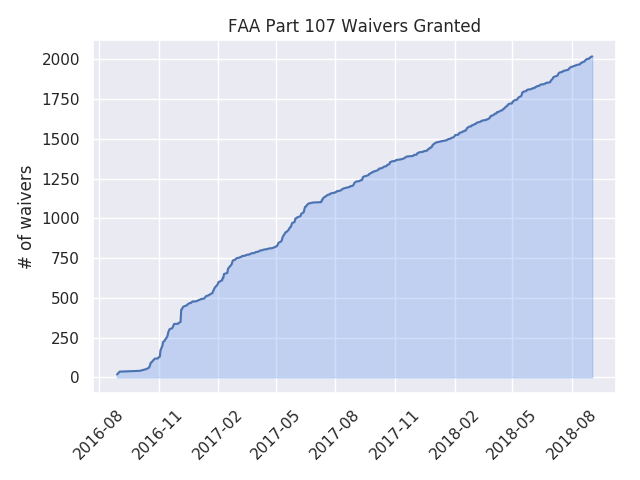 As of September 1 2018, there are at least 64,867 pilots with a part 107 UAS (drone) certificate. Following the 60% rule from last month, that gives 108,000, an increase of 8,000 in the last month. 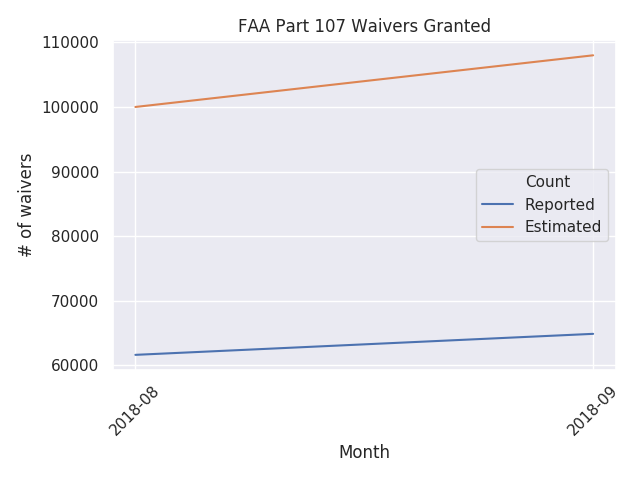 As of today, there have been 2,020 waivers granted to 1,855 individuals at 1,565 companies. That represents an increase of 21 waivers since last post.